Last week, we announced that we are creating our own setting known as Shadowsfall. 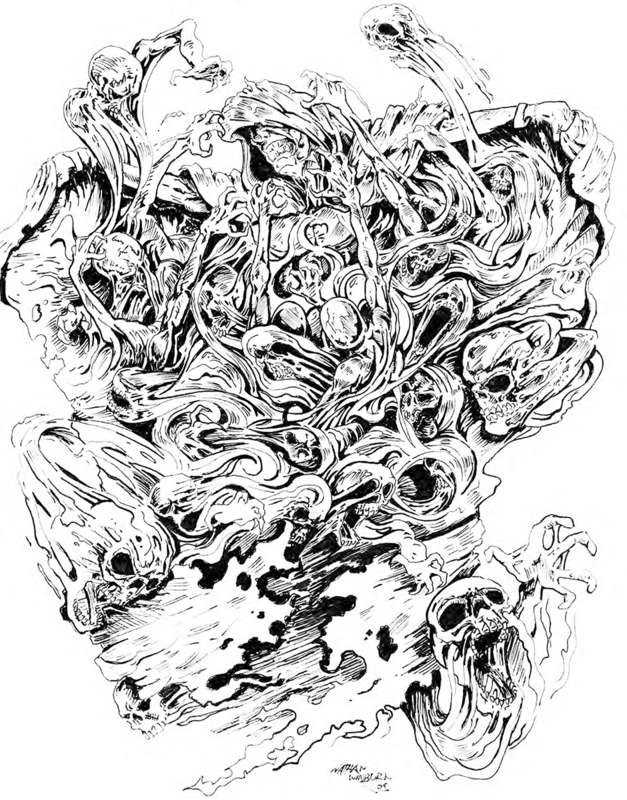 It is a worlds where a lich tried to take over the world, killed the sun goddess, and was destroyed by the other gods. Here, you are a survivor fighting for the living in the aftermath of all that. Nine out of every ten creatures are undead and more than half of them are mindless. So saying that undead feature prominently in any Shadowsfall game is an understatement. 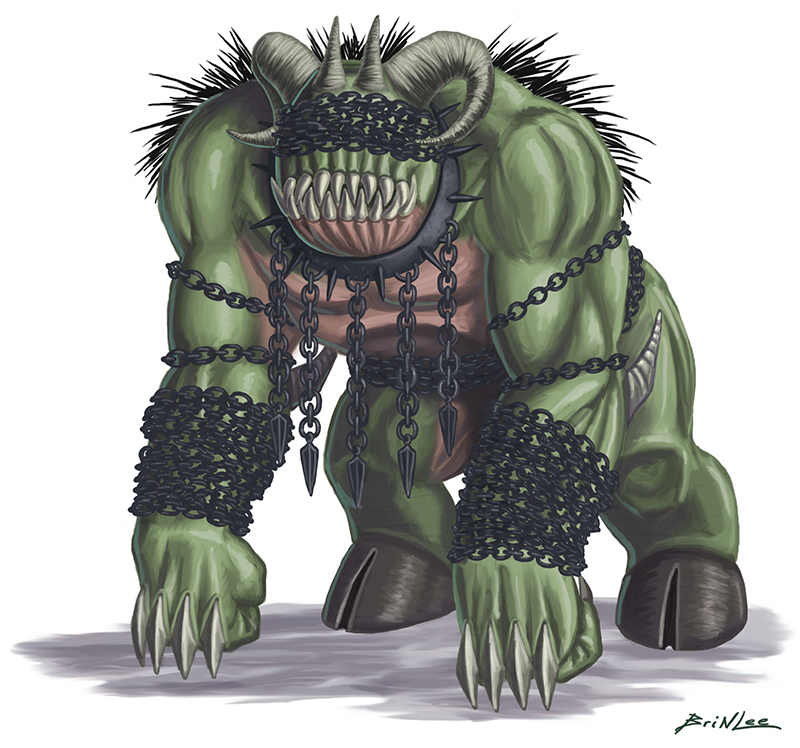 With the survivors either in protected cities, living near some fortification to retreat there when the undead hordes come close, or wandering the wastelands hunting for food and slaying small groups of walking corpses they encounter, seeing a zombie or skeleton here is as common as seeing a goblin, kobold, or orc in a standard fantasy setting. Today I just want to take a few moments and share with you some of the undead creatures that “live” in this land of poor sunlight. 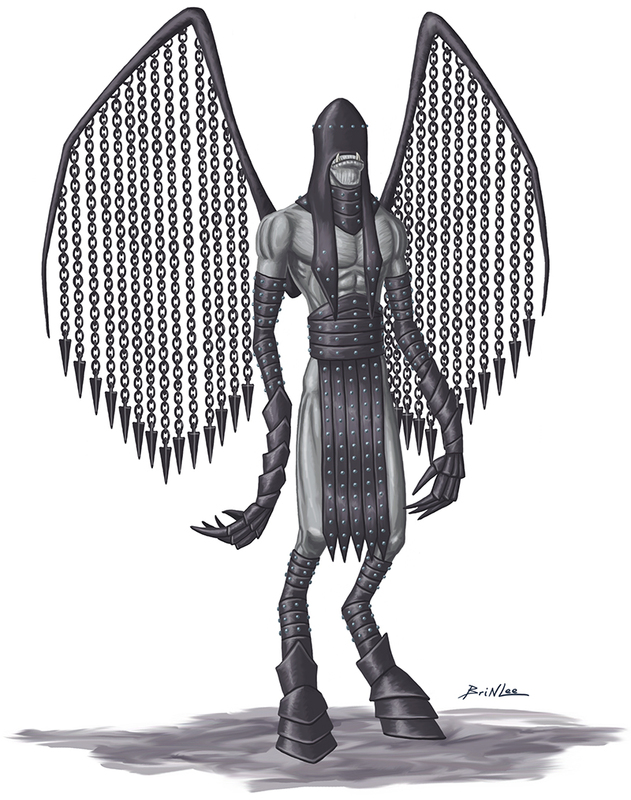 Long time fans of JBE will recognize these pieces as being from the Book of Beasts: Monsters of the Shadow Plane. You can also see some of the other walking corpses like the orc skeletal champion and a ravager wolf. 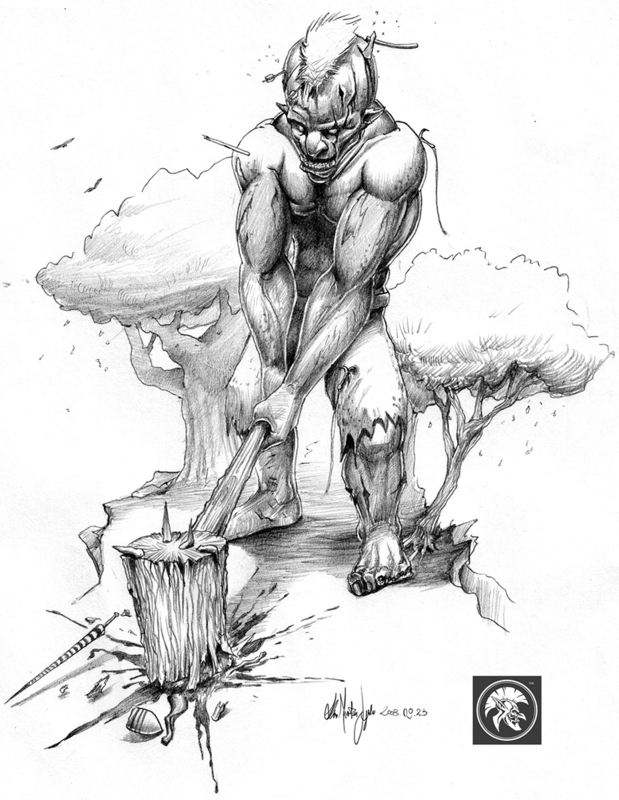 Today, however, we’re going to share with you the stat block for the unquiet giant. This big brute is jovial in the way it smashes everything in its sight. 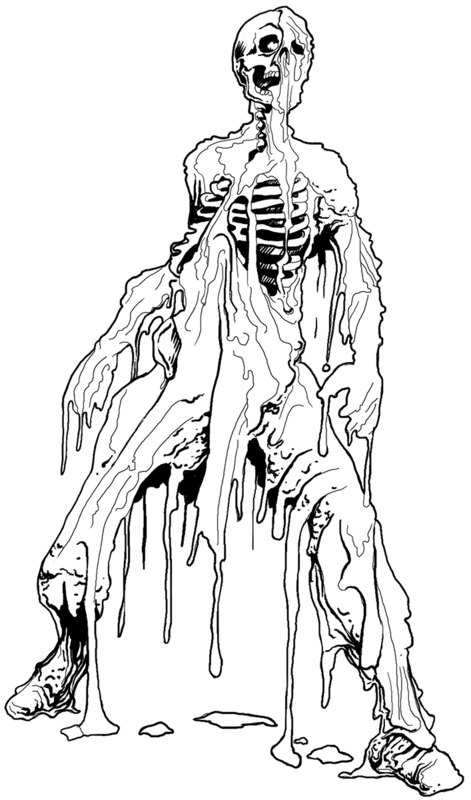 Its a fun monster to have wandering around. Size Huge; Speed 30 ft. Easily Distracted (Ex) Although it is immune to all mind-affecting spells and spell-like abilities, an unquiet giant is highly susceptible to mundane distraction. At the start of its turn, it must succeed a DC 15 Wisdom check to fight normally. If it fails, it attacks a random creature within its reach. Spirit Stone (Su) An unquiet giant imbues every stone it throws with the essence of its final battle, flying unwaveringly, and even veering to follow its target. An unquiet giant uses its Charisma bonus instead of its Dexterity bonus to its attack rolls when throwing rocks. All rocks thrown in this manner are considered to be magic weapons for purposes of damage reduction. Poll: Where Do You Buy Your Pathfinder Compatible, 5e Compatible, and 13th Age Compatible Books and PDFs From? Today we would like to ask you where you buy your books from, be they print or PDF. Please note, we are only asking about Pathfinder Compatible (so not Paizo’s books), 5e Compatible (so nothing from Wizards nor from the DMs Guild), and 13th Age Compatible (so not Pelgrane’s books). Vote for your top 3 answers. If you don’t see where you purchase your books and PDFs from, please let us know in the comments below. Sorry Traveller, we would include you in this poll, but the license allows for only one place for Traveller MGT2e books to be sold at DriveThruRPG. GM’s Day Sale 2019 Is Here! The GM’s Day Sale is here and it is better than ever. Get 20-40% off of our Pathfinder, Fifth Edition, 13th Age, and Traveller 1e books you have been wanting for a while now. Grab these books now while they are available at a great price. Which books you ask? Here are some highlights. Download these and other titles now at DriveThruRPG. Monks are the undisputed masters of of the mystical martial arts. Through discipline, determination, and years of practice, they can produce effects on par with the spells of mages. Within these pages are three new styles perfect for monks looking to rival the power of magic. Hone Your Technique for the Adventures that Await! 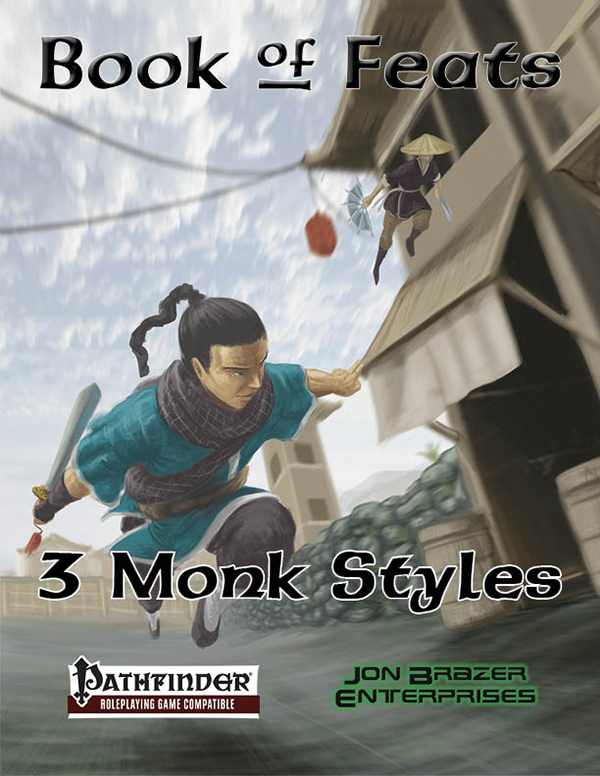 Download the Book of Feats: 3 Monk Styles today at the JBE Shop and DriveThruRPG, Paizo, and the Open Gaming Store. Monks simply do not get enough love. What magic items there are cost more, even though they are supposed to be impoverished. They have far fewer archetypes alternate classes and feats. Well, we are going to do something about that last one right now. Below is a martial arts style perfect for the monk that loves to move so fast they are nothing but a blur. 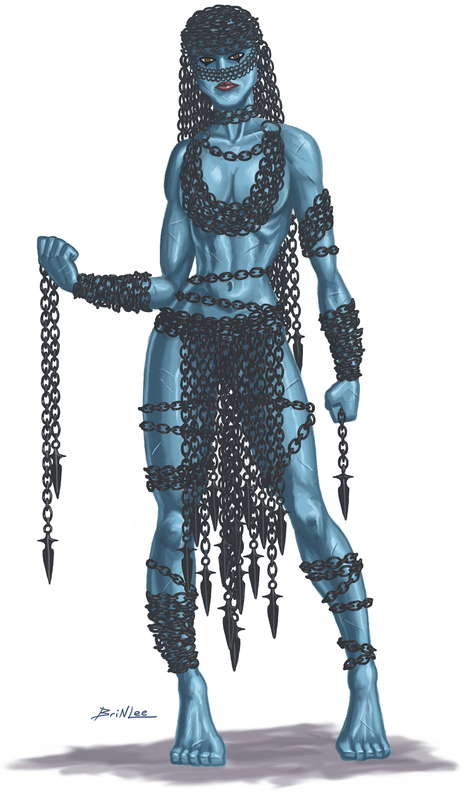 If you enjoy this style, be sure to check out Book of Feats: 3 Monk Styles at the JBE Shop and DriveThruRPG, Paizo, and the Open Gaming Store. You dodge attacks at incredible speed. Prerequisites: 1st-level monk or base attack bonus +1. Benefit: You add your Wisdom modifier to your initiative instead of your Dexterity modifier. When using this style, you add your Wisdom modifier to your Reflex saving throws instead of your Dexterity modifier. Your strikes are so fast, they are difficult to defend against. Prerequisites: Blurred Strike Style, 6th-level monk or base attack bonus +6, flurry of blows. Benefit: When one of your flurry of blows attacks deals damage to a creature, all additional flurry of blows attacks against that creature this round are made against the target’s flat-footed armor class. Your enemies never see your strikes coming. Prerequisites: Blurred Strike Assault, Blurred Strike Style, 11th-level monk or base attack bonus +11. Benefit: If you moved more than 10 feet this round, all of your unarmed strikes are made against the target’s flat-footed armor class. There’s a short story by Janni Lee Simner called Practical Villany that I particularly love. It’s from the villain’s point of view. The opening line is “The first thing I want you to know is that I drowned those kittens for a reason.” It’s a dark comedy about a villain talking to his latest kidnapee about his rebellious daughter that turned hero, betraying the family business. In the story, the author talks about how evil is a business while heroes are just one person. That is where mini-bosses come in. Mini-bosses are akin to mid-level managers. The real question is why would someone in a fantasy RPG world need them. No matter which level-based fantasy game you play, you get more powerful by level. You are obviously more powerful at level 2 than level 1 and even still more powerful at level 3 and so on. The same is true for your main enemy. They didn’t try to take over the world at level 1. They worked to amass enough wealth and influence and easily outclass the adventurers at the start of the campaign. So why are they employing people that can’t hold their own against a plucky group of low levels? Your big bad has a source of income that still needs to be maintained, and they are busy with taking over the city/country/worlds. So the actual job of generating that income has to be in the hands of some trusted aid to oversee the operation. 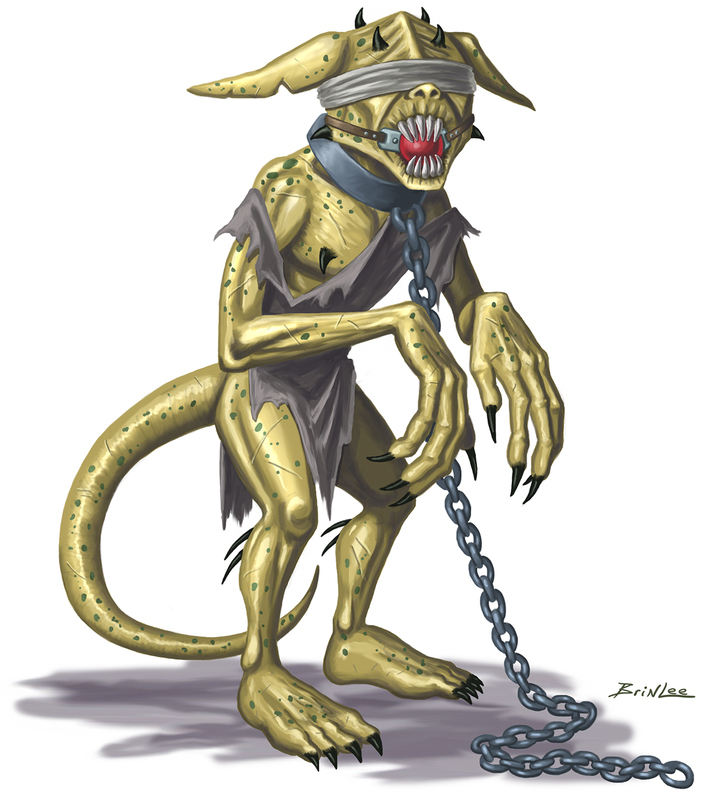 Whether that operation is a kobold mining company digging up gold, orc hunters that sell skins for leather armor, or an ogre timber consortium, they have to perform operations far to trivial for the big bad to do. The problem comes in when they interact with the humanoid races. Do the kobolds breech into a dwarven mine or a gnome village? Do the orcs kill the cows of a small hamlet? Are the elves upset the trees are being felled? The people doing the work need direction and someone to pay them for their work, someone that represents the big bad to the workers. That is a mini-boss. Remember, any good business has lots of moving parts to it (different managers in charge of different workers at different locations all doing the same job, different departments doing different jobs, etc.). That is a lot of different mini-bosses at a number of different difficulty levels. In this case, the employees are minions. The person at the top simply can’t have every skill or talent possible in the whole world. CEOs hire accountants and lawyers to help them navigate those arenas. Your big bad trying to take over the city/country/world needs someone to advise them on the way to the crown and how to finance it. So your mini-bosses can be advisers to the big bad in their specialty field. Other possible advisers include a cleric of an influential church and the big bad isn’t a follower of the deity or doesn’t have any divine casting ability, a public relations bard to smooth over incidents like the kobolds invading the dwarven mines, and a spiritual advisory monk. The important thing to remember with advisers is that they should fill two roles: the official one and an unofficial one. The official one is the job for which they are known. This is their day job, how this adviser is presented in the public. The unofficial one should be the real reason that person in particular was hired by the big bad. Does the financial advisory funnel money from the crown to the big bad? Does the cleric get people (more minions) to act against their interests in the name of the religion? Is the public relations bard in charge of spreading disinformation? All of these roles a big bad needs done and these make great mini-bosses. Bad guys are not known for fighting fair. Once the adventurers have been identified as disrupting some small plans, they should have someone to deal with them. Assassination attempts have been done and the players will see that coming. Instead, trying having the big bad hire the adventurers for a job they are not qualified, like killing a monster that is more powerful than they can handle. Have the public relations bard hire them, apologizing for any previous incidents involving low-level managers, and praise them for bringing such bad actors in their organization to light. The job is something like clearing out a cave where some new miners will be going soon. The adventurers aren’t told there’s a dragon in there. The dragon will be warned and compensated for it’s trouble. Naturally the dragon will have his own minions to soften you up in your way there. The idea behind this is that if the adventurers never return, no one will miss them or possibly figure they left for another problem elsewhere. As an added bonus, the public relations bard can claim they had bad information and apologize for their near deaths. By doing this, you turn what would otherwise be a single encounter into a night’s game session and they might even believe the big bad isn’t so bad. 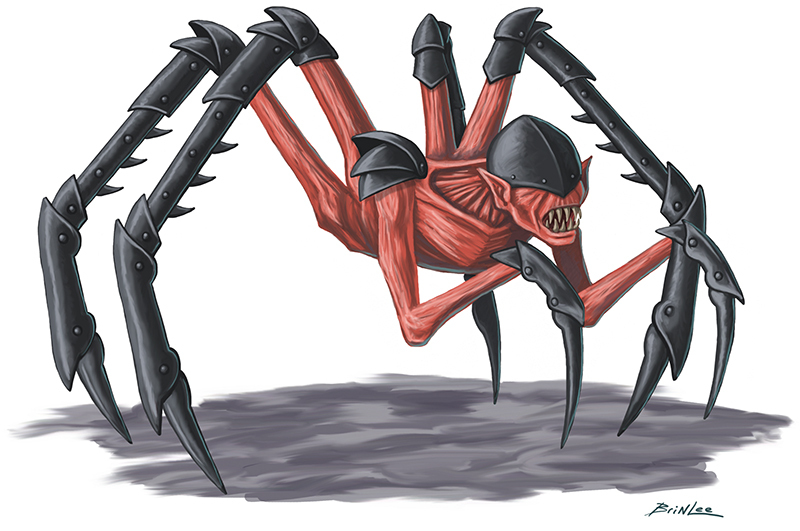 Every mini-boss need minions and we have some excellent ones in the Book of Beasts series, available now for Pathfinder, Fifth Edition, and 13th Age. Download them now.